Methamphetamine is a very powerful stimulant. Its structure is very close to that of amphetamine. It is incredibly addicting and has ravished numerous communities. Individuals that become meth addicts typically experience a very fast physical degeneration and become more aggressive and violent. Domestic violence is quite common amongst chronic users of meth. Though meth is an illicit drug, sometimes it is prescribed by physicians. It does have some medial uses though very few. Meth can be snorted, injected, consumed orally or smoked. The drug induces feelings of euphoria, power and pleasure. Individuals will experience a rush and a surge of energy because it is a central nervous system stimulant. More and more people are beginning to abuse methamphetamine. This is largely because it gives users a very powerful high which lasts a long time. Drugs such as crack, cocaine and heroin typically last, in terms of a high, for much shorter periods of time then meth. Because meth is cheap, individuals receive a bigger 'bang' for their buck. There are many dangers associated with methamphetamine use. A person may experience fast and/or irregular heartbeat, increased blood pressure and insomnia. Their appetite may also decrease. Long-term and chronic use may result in an individual losing a significant amount of weight, rotting teeth (meth mouth), violent behavior, the ability to sleep, anxiety and confusion. They may also develop psychosis, hallucinations, paranoia and delusions. Hepatitis B, C and even HIV can be transmitted amongst meth users that take the drug intravenously (via needles). 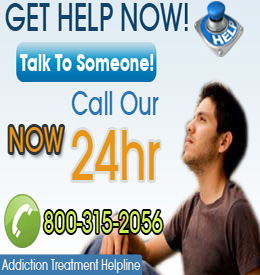 Most persons who develop an addiction to methamphetamine will need rehabilitation of some sort. Inpatient will absolutely be necessary if a person has a severe addiction. Getting clean can be extremely difficult and will require a definite commitment. There will likely be setbacks but that is to be expected when struggling with any addiction. Rampant methamphetamine abuse and addiction seemingly came out of nowhere. All of a sudden the drug was sweeping certain parts of the United States, devastating those in its wake. Officials have struggled, largely unsuccessfully, to get a grasp on it. Meth causes addictions to occur quickly and can take over a person’s life, causing problems physically, emotionally and mentally.